What do you see when you look at this woman on the beaches of Lesvos with two children? 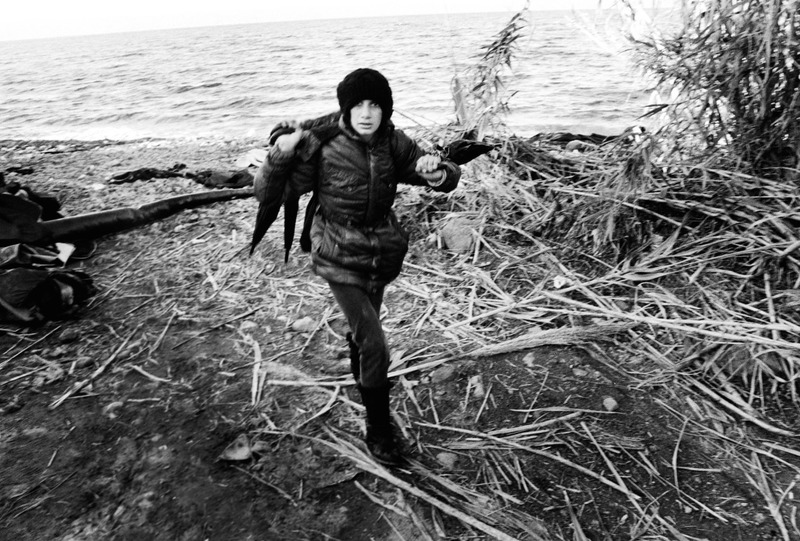 She is Syrian, her boat has just landed, its cold and the crossing was difficult. Do you notice how well she is dressed, how elegantly she holds herself? Or the fear in the child’s face? Is she their mother or grandmother? What have they lost in Syria? But look at the second girl. They have nothing, so what did she make them bring? What did they carry? To protect them as the crossed the Aegean on an overcrowded boat.